Inside: Tired of all the clutter? 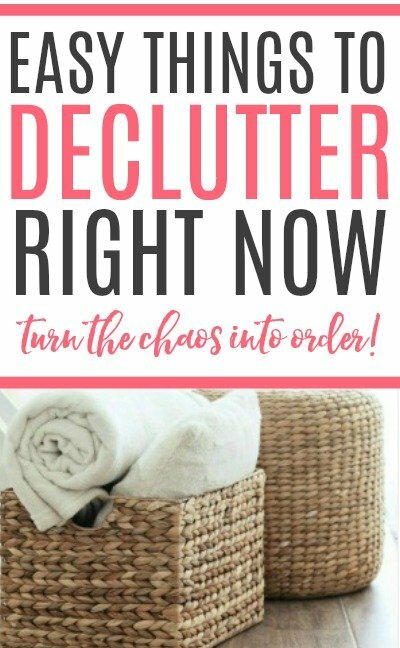 Check out these things to declutter right now. 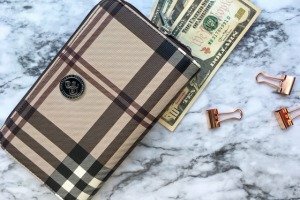 These won’t miss items will help clean up your home and clear out the clutter! Do you ever feel like your home is cluttered, but you don’t know where to get started on decluttering? I completely understand. I often want to get started on decluttering a room and yet I don’t even know where to begin. 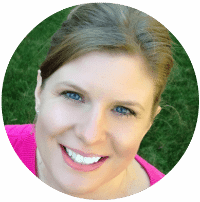 It’s easy to look in a room and get completely overwhelmed with the idea of decluttering. You start to wonder what you should be decluttering. One of my favorite books Real Life Organizing talks about doing a 21 item toss. This is a great way to get in the mindset of decluttering. Just take a trash bag and walk around your home to find 21 things to throw out. It doesn’t have to be large things, usually, I can find an old receipt or some trash laying around. If you can’t find 21 things that’s fine, it’s just an easy way to help you get in the decluttering mindset. After doing the 21 item toss you can start finding some easy wins with decluttering. Check out my favorite things to declutter right now and get your home free from clutter. Tired of all your cabinets being stuffed full? 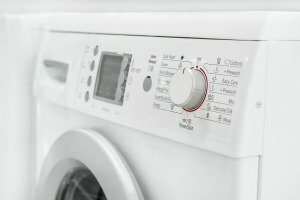 The kitchen tends to gather so many different appliances and tools that we don’t always use. Giving it a quick decluttering will help free up some space and allow you to organize what you do use. Once your drawers are clear of clutter you can organize them. Check out how I easily organize kitchen drawers. The bedroom seems to be a catch-all area in our house. 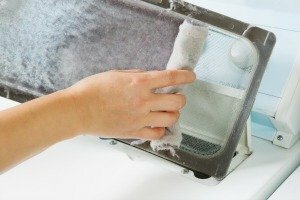 Clean it up and give yourself an organized area to relax at night. Free up some space in and on your nightstands and dressers to have a clean and organized room. 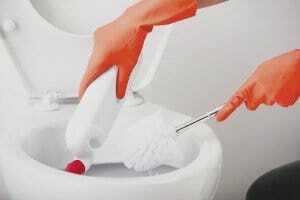 The bathroom can be easily cluttered with those old products we don’t like but hate to get rid of. Get rid of expired and things you don’t use so you can organize and enjoy what you do use every day. Clear out some extra room in your closet and make some space for what you love. Declutter those things you never use and don’t need. Things are easier to find and organize when you get rid of those things you don’t use anymore. Clear the clutter from your living room. Get rid of old magazines, DVDs, and CDs. 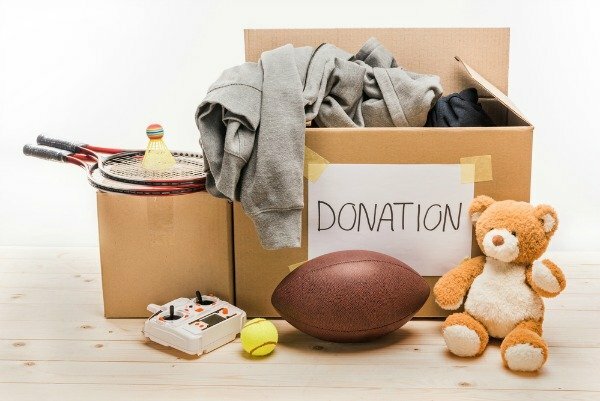 If your kids keep toys and supplies in the living room declutter their stuff too. If you have a home office take a few minutes to throw out old receipts and calendars that you no longer need. Our garage is often filled with things that don’t have a home and projects that we don’t have time to work on. 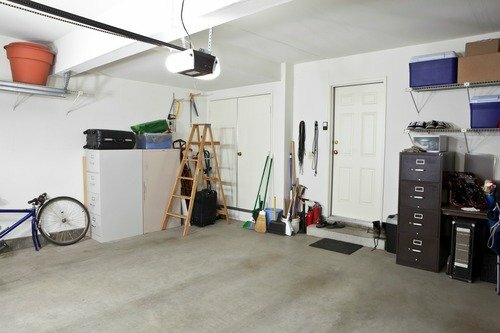 If you want more room in your garage check out these things to declutter. 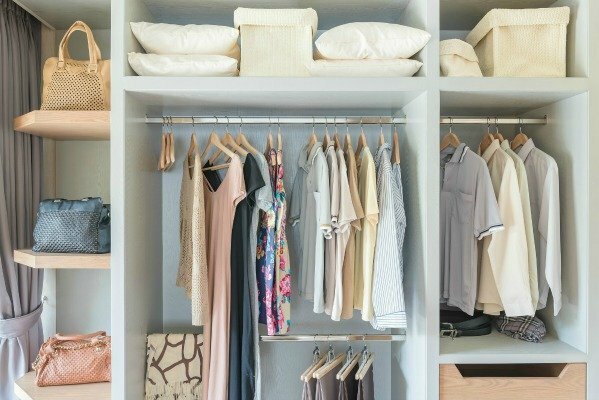 With these easy ways to declutter, you can start freeing up some space around your home. It’s amazing how nice it feels to have a clean and decluttered home. 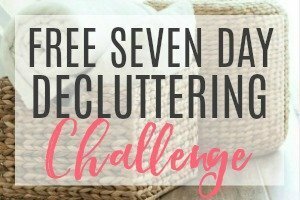 If you still need some easy decluttering tips you can sign up for the free 7-day decluttering challenge. 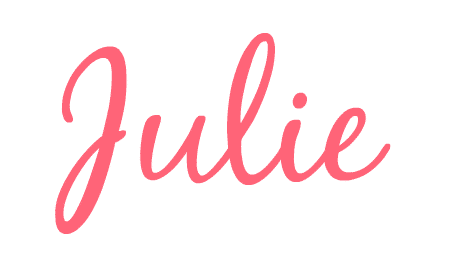 Once a day for 7 days you will receive an email with an easy 15-30 decluttering task. At the end of 7 days, your home will feel less cluttered. It’s an easy way to give your home the attention it deserves.